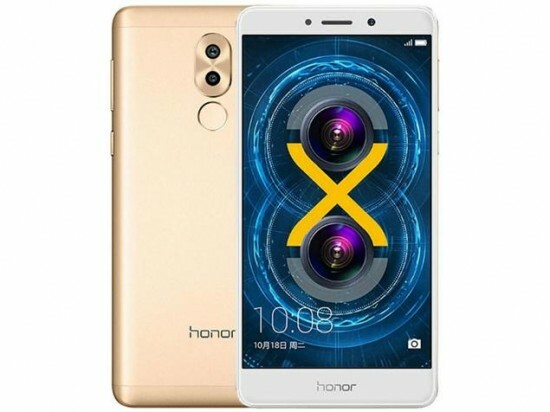 Huawei is one of the biggest smartphone companies in the world and now the company has released its latest Honor 6X smartphone. This newest entry in the Honor X series was released by the Chinese company during the Consumer Electronics Show 2017. The price tag of $249 shows that it is a midrange device. Like the last year’s Honor 5X, the design is almost the same with the only inclusion of dual camera on the back. As compared to glass front of Honor 5X, the new 2.5D glass merges with the metal body in a faultless manner. But both have several similarities including the same fingerprint scanner at the back, unibody metal design and a similar 5.5” 1080p IPS display. Huawei Honor 6X has 2.1 GHz octa core HiSilicon Kirin 655 processor along with RAM and storage combination of either 3 GB/ 32 GB or 4 GB/ 64 GB. Through microSD card slot, you can also get expandable storage of 256 GB. It is a dual SIM device where 2nd SIM slot can be used as microSD card slot. He Honor 6X has OS of Android marshmallow with EMUI 4.1 while the company will enhance the user experience soon with the introduction of EMUI 5.0 in the Huawei Honor 6X. In the past year, the the dual camera of Huawei has improved a lot and now the company is considering to use it also in the lower end phones. The combination of 12 MP sensor with 2 MP sensor in Honor 6X is useful for added depth and sharpness in low light performance by capturing images in black and white. Noise in photos is reduced by Huawei’s feature Deep Trench Isolation (DTI) that decreases blur by isolating pictures. As compared to 3000 mAh battery of honor 5X, now the battery has been increased to 3340 mAh. But it has no fast charging technology. Even with heavy usage, it can last more than a day. As compared to last year’s design, this is an upgraded device but it is still short in few aspects. On 10th January 2017, the website of Huawei will provide this phone. We don’t know anything about its release in Pakistan yet but we can say that it will not be available before one month.